Rikkert has an educational background in music and in public administration science. He is currently employed as creative producer with Leeuwarden – Fryslân 2018 European Capital of Culture. Within his diverse portfolio of projects (classical) music has his special focus. 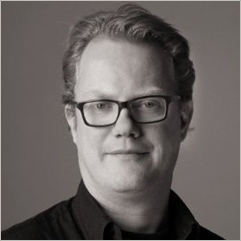 His previous positions are Chief Operations Officer with the Podium Cadeau Kaart (gift card for the cultural sector), General Affairs with the Dutch Association of Theatres and Concert Halls and he has held several positions with the Residentie Orchestra in The Hague (i.a. Orchestra manager, Marketing & Communications manager, Human Resources manager and manager General Affairs). Rikkert also is chairman of the Supervisory Board of ‘De Diamantfabriek’ (innovative music theatre), is treasurer of his local wind band and was board member of the Amsterdam Wind Orchestra during their relaunch. Rikkert enjoys music (singing, playing trombone and clarinet), sports, gastronomy and loves to spend time outdoors with his family.